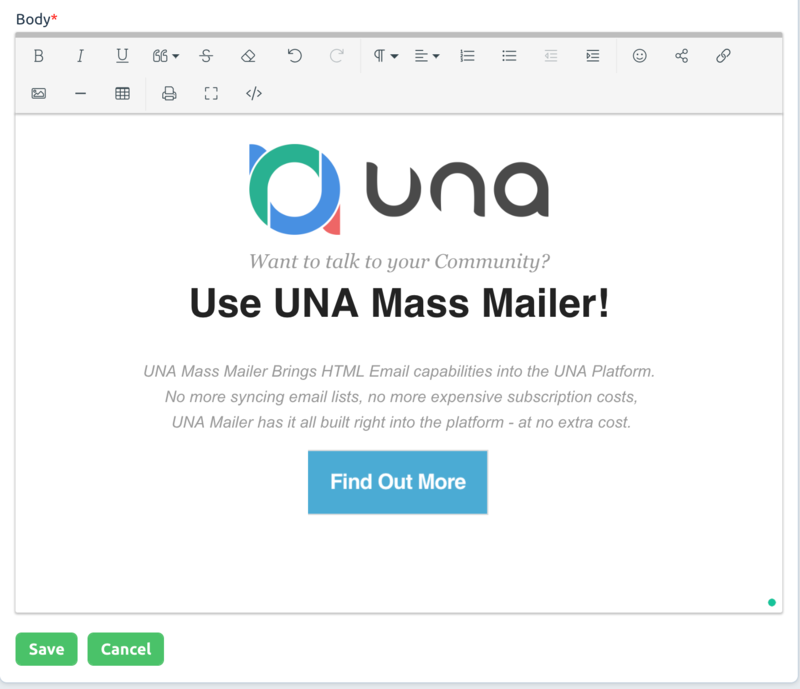 Mass Mailer brings HTML email capabilities right into your UNA site. Create professionally styled emails using the WYSWIG editor or paste in your own styles. 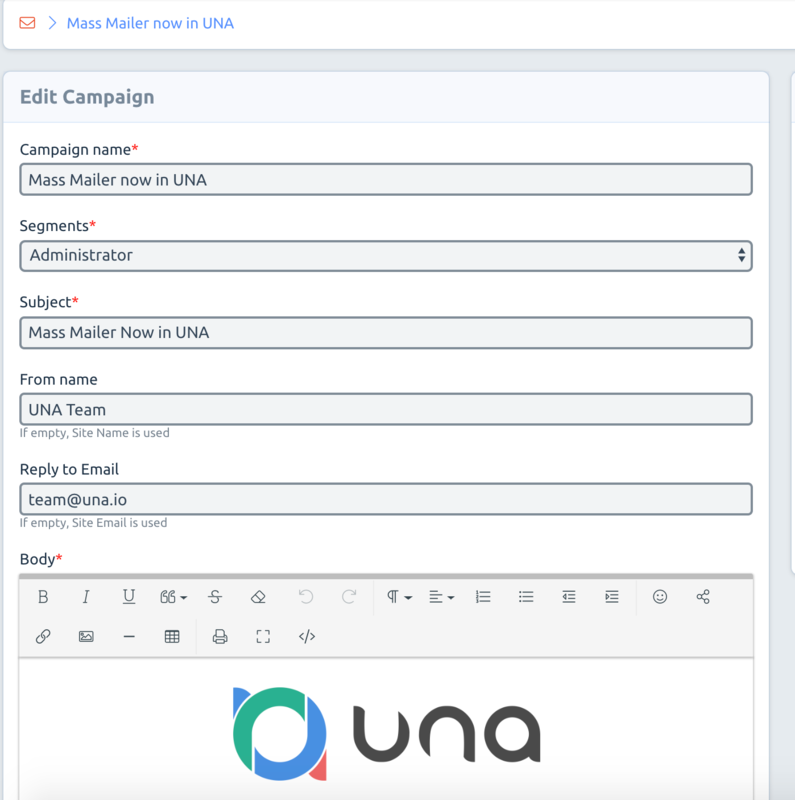 Create segments based on UNA user groups.